How many of us are concerned about the quality of water we drink? I think it’s safe to say most of us are. However, many do not have an accurate understanding of how to secure truly, healthy water. We all know that tap water probably isn’t the best option. If you’d like to read more on that, the EPA lists out the contaminants and chemicals that be be found in tap water. For starters, chlorine dioxide and arsenic are both offenders – and that’s just the beginning. Other contaminants are being discovered like nitrogen fertilizer. The EPA lists contaminants found in tap water…Chlorine dioxide and arsenic are both offenders. The majority of health conscious people purchase bottled water. Maybe it’s water imported from from the beautiful waters of Fiji, or sourced from the mountains in Arkansas. This should be good for you right? Not always. Simply hop onto Google and search for anything relating to health concerns tied to plastic bottled water – it will open your eyes. In Europe, certain types of plastic bottles have even been banned. The NRDC provides detailed information about what they’ve found regarding toxins from bottled water, including phthalates leaking into water from plastic. Phthalates have been linked to multiple things including cancer in both men and women. So what’s the solution? 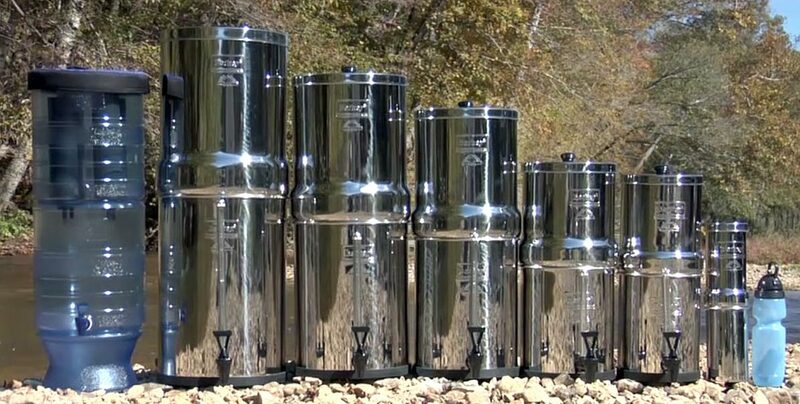 Berkey water filters. Do I sell Berkey water filters? No. Do I get a commission if you purchase one? I wish, but no again. A note for California residents: Berkey was not able to ship to California for some time because the state requires specific product details on the actual filter components, and Berkey couldn’t reveal their proprietary science before patents were in place. It was a stand off for awhile, but California has finally given in and currently allows the Travel Berkey model to be shipped. This model is what one of my sons and his wife use for their home, and it’s perfect for two people.